I compiled ffmpeg with omx support ti use hw h.264 encoder, is far away from x264, but very fast. Also why not to use utvideo? Thanks for the comments MasterBlatter. I did try the hardware encoder last July, but found the quality too poor to use; a that time ffmpeg support for it was very new, and none of the quality control options seemed to work. The other encoder is not one I’ve heard of; I don’t know if the Pi’s Video core IV chip has hardware support for it. Getting encoding to work at at was very difficult given the relative lack of horsepower available from the machine’s SoC! IIRC H264_omx doesn’t support quality crf or qp settings, but bitrate only and ffmpeg default is about 200kbps. 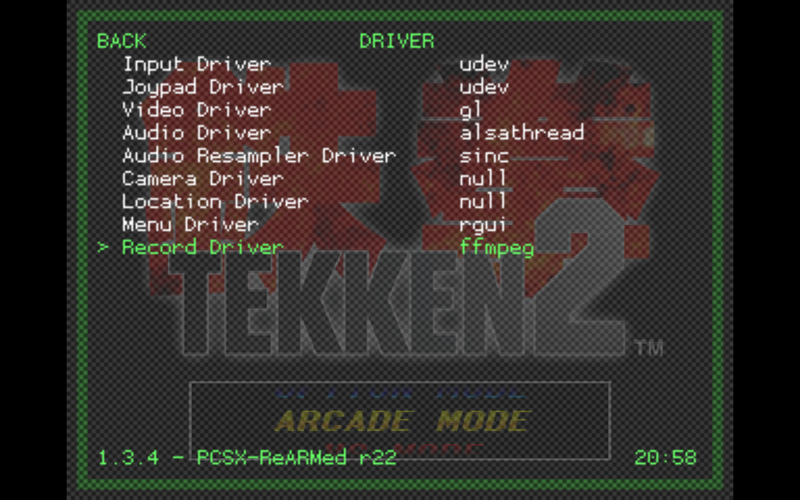 Utvideo is a lossless codec tuned for speed, another one is ffv1, both sw only. I’ll try those in some days, and report here. [000000000141f118] core libvlc: Running vlc with the default interface. Use ‘cvlc’ to use vlc without interface. [00007f650cc01808] mkv demux error: cannot find any cluster, damaged file ? I’m glad you’re making progress. 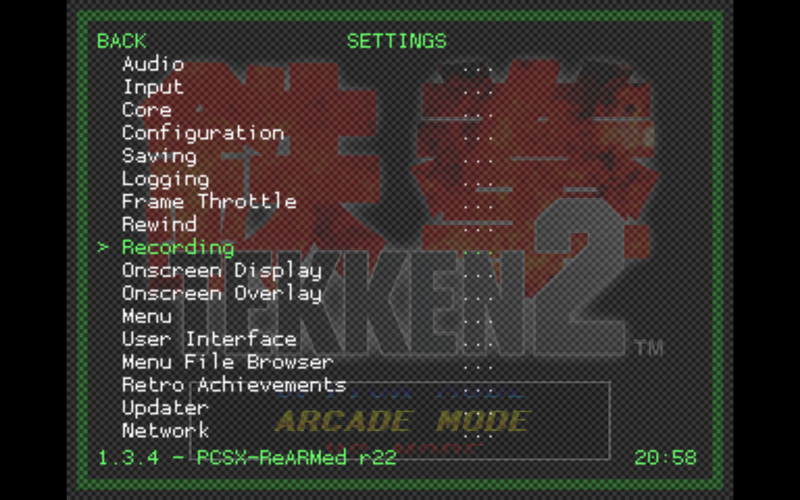 I must confess that I’ve never attempted recording with any of the MAME emulators on my system. Dont know what i´m doing wrong. 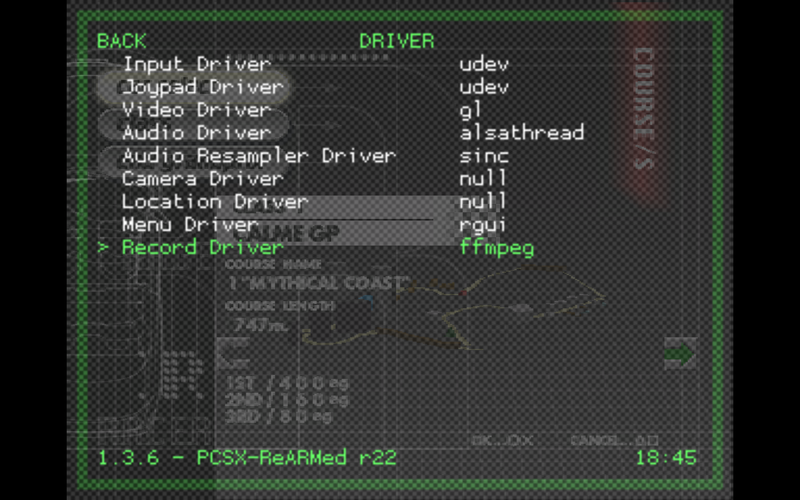 When I add the –record option in the emulators.cfg, the emulator would not start. I’m glad the original article was useful, albeit outdated. Unfortunately ill health means that I’ve not been able to keep the guide updated. Many thanks for working on the changes to update this for the current releases. 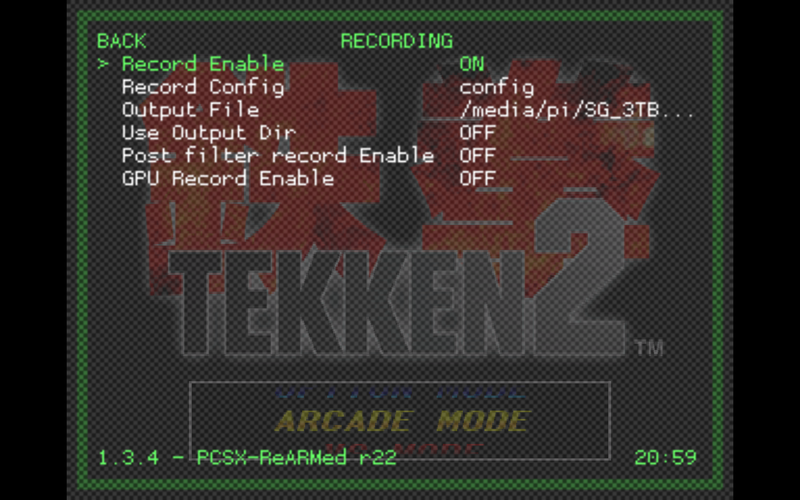 If you see any changes I should make, please suggest them at https://github.com/andybalaam/retropie-recording . I hope your health improves and you make a full recovery. Thank you for your good wishes. I hope to take a look at your updates soon.